Mix cream cheese product, beans and garlic until blended. Garnish with sour cream and chopped fresh cilantro just before serving. 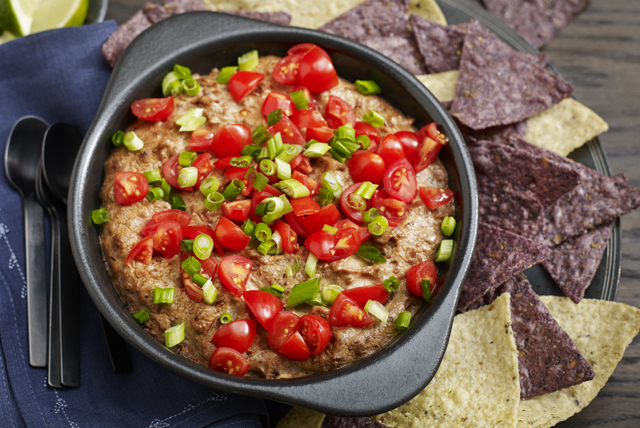 These dip ingredients can be mixed together ahead of time. Refrigerate up to 24 hours before baking as directed, increasing the baking time to 35 min. or until dip is heated through. Top with tomatoes and onions.